This entry was posted on February 5, 2019 by Amberley Publishing. The late 1960s was a period of great change in the bus and coach industry. The formation of British Leyland on 17 January 1968 brought together all the major bus chassis manufacturers, Leyland, AEC, Bristol, Daimler and Guy. Then the National Bus Company was formed on 1 January 1969 bringing together the Tilling and British Electric Traction Groups. In addition many municipal operators were absorbed into the new Passenger Transport Executives. One person operation was seen as the way forward to reduce staff shortages, and to contain costs, but was only permitted on single-deck buses. Thus the Leyland National single-decker was conceived as a joint venture between British Leyland and the National Bus Company, to be built at a new factory at Lillyhall in Cumbria. The Leyland National was a highly standardised bus with integral construction, so bus operators had no choice of bodybuilder. There was only one engine option, the Leyland 510 8.2 litre turbocharged diesel engine. Only two lengths for the British bus market, 10.3 metres or 11.3 metres. A sophisticated heating and ventilating system meant a pod on the rear roof. Production started in 1972. Early Leyland Nationals had a very stark interior, fortunately this was improved over the years. In 1978 a simplified series B Leyland National, 10.3 metres long, was introduced, which had a conventional heating system, with no pod on the roof. Then in 1979 the Leyland National 2 was introduced. This had a front mounted radiator, so was slightly longer at 10.6 metres or 11.6 metres. There was the option of the sophisticated heating and ventilation system with pod on the roof, or conventional heating system with no pod on the roof. At last there were engine options, the Leyland 0.680 or TL11 horizontal diesels, later the Gardner 6HLXB or 6HLXCT diesels. Leyland National production finished in 1985. Over 7,000 were built, but it never achieved its full potential due to the advent of one person operated double-deckers. Whilst the Leyland National was marketed a city bus, the idea of a high capacity single-decker with say thirty seats and forty standing passengers did not find much favour in this country. Instead a double-decker with circa seventy seats was preferred. 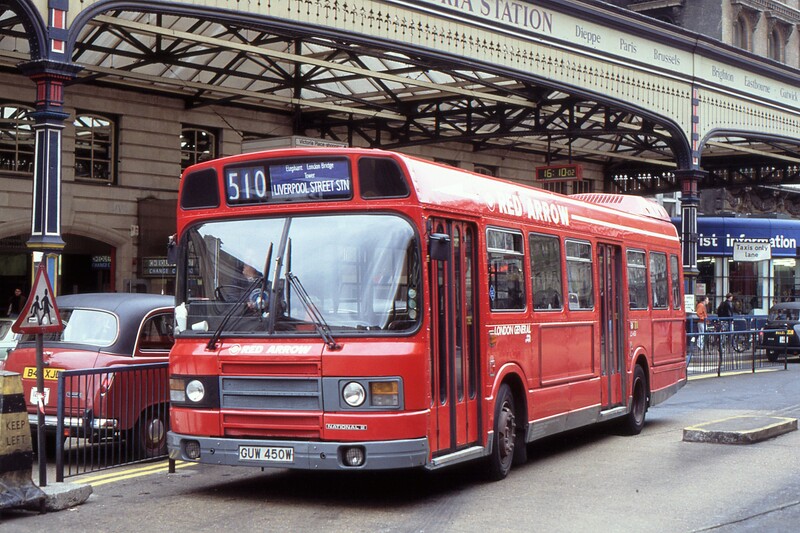 For example London Transport bought 506 Leyland Nationals, and 2,646 Daimler/Leyland Fleetline double-deckers. 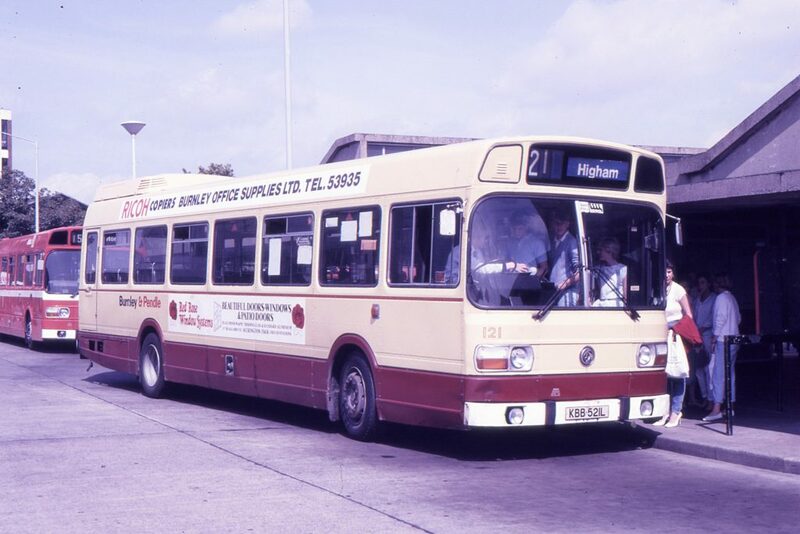 Most of the National Bus Company subsidiaries bought Bristol VRT, Leyland Atlantean, and Leyland Olympian double-deckers as well as Leyland Nationals. Then along came the Transport Act 1985 implementing the break up and privatisation of the National Bus Company, as well as the deregulation of local bus services from 26 October 1986. This heralded another period of change. Operators reviewed their bus services, which could be operated commercially, which would be withdrawn and left for a local authority to put out to competitive tender. 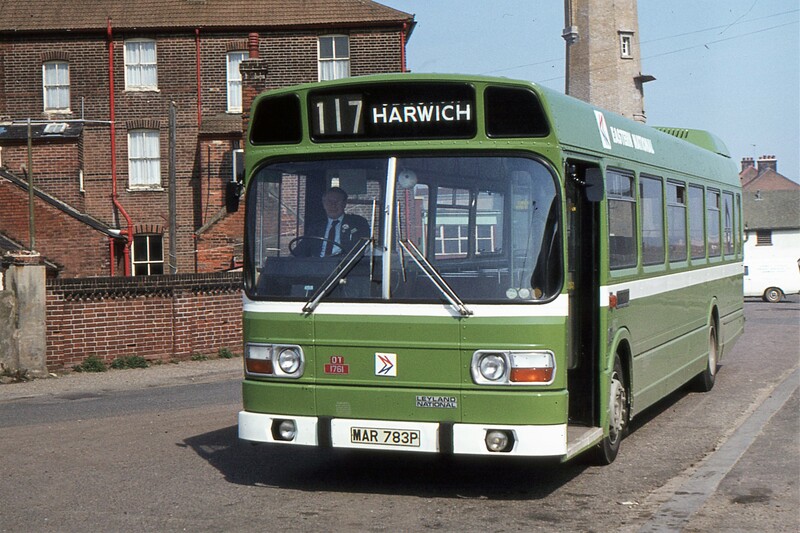 New bus companies were established with new liveries, and existing companies adopted new liveries as well, consigning the standard National Bus Company green and red liveries to history. Leyland Nationals became available on the second-hand market, so operators large and small got used to operating and maintaining the Leyland National. The integral construction of the Leyland National gave the potential for a very long life. Therefore in 1991 London & Country and East Lancashire Coachbuilders, both part of the Drawlane Group, launched the National Greenway, which involved rebuilding and refurbishing Leyland Nationals, and fitting them with reconditioned Gardner 6HLXB engines. Some impressions of the Leyland National. For the passenger, one step from the kerb on to the bus, then another step on to a flat floor at the front, another step towards the rear over the rear axle and engine. Early Leyland Nationals had uncomfortable vinyl covered seats, but later more comfortable moquette seating was fitted. A smooth ride due to air suspension. The driver had a cab free from drafts, but the gear selector was on the right hand side of the cab, to leave the left hand side free for fare collection. The high revving Leyland 510 engine would clatter and whine, and if not looked after properly would emit lots of exhaust smoke. Bus operators' and drivers' views on the Leyland National differed greatly. Some loved the Leyland National, others were resigned to living with it. When Peter Horrex asked me to collaborate on this book, my first thoughts were that we would have lots of images of Leyland Nationals in red or green National Bus Company liveries. We do have these, plus a lot more! We have images of Leyland Nationals with bus companies formed out of the split up of the National Bus Company, privatised National Bus Company subsidiaries, London Transport and its subsidiaries, Passenger Transport Executives, municipal operators, and independents. We have images of the Leyland National, the Leyland National series B, the Leyland National 2, and the National Greenway. We even have images of the Suburban Express Leyland National with its high flat floor, and a Leyland DAB articulated bus using the Leyland National 2 body structure. Thus we have tried to find as much variety as possible for the standardised Leyland National, and we hope that readers of this book will enjoy the result. 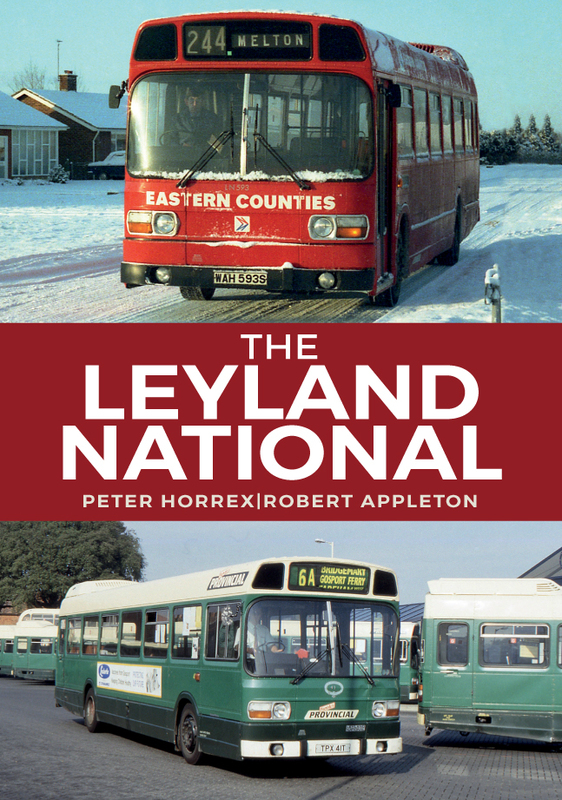 Peter Horrex and Robert Appleton's new book The Leyland National is available for purchase now.